Tuna Croquettes! | "Il faut goûter"
“Croquette” sounds Frenchie-fancy. These croquettes are both casual and classy; they’ve figured out that balance (like those lovely Frenchies I know!). Eat them with your hands, dipped in the tangy sauce below, as a tasty appetizer for a summer gathering. Get a little more sophisticated and put them atop lightly dressed salad greens for an easy, impressive meal. These little guys have been extremely popular every time I’ve made them for friends and family. They are pleasingly light and bright with the lemon and Dijon, but many seasonings could be used to change their flavor–I’m going to try an Asian/sesame profile soon. Dainty, delicious little things! 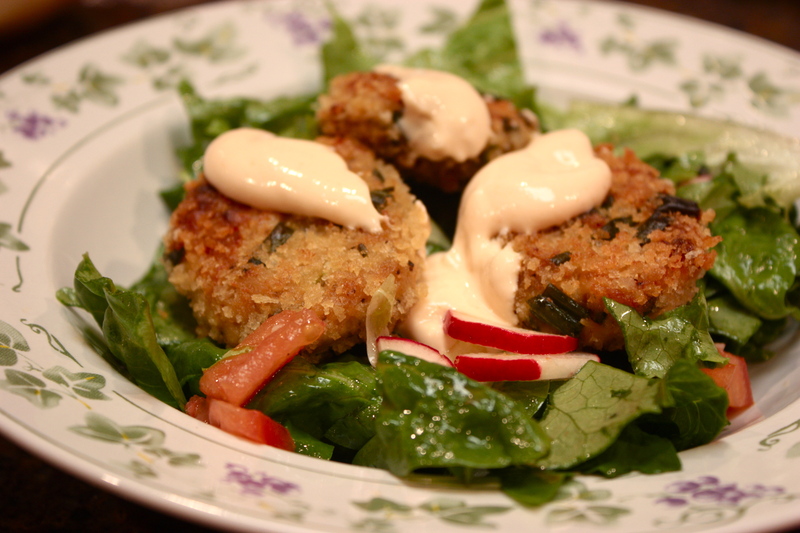 Coquettish croquettes–you’ll probably fall in tuna love. Drain tuna well, transfer to a large bowl, and shred up any large chunks with a fork. 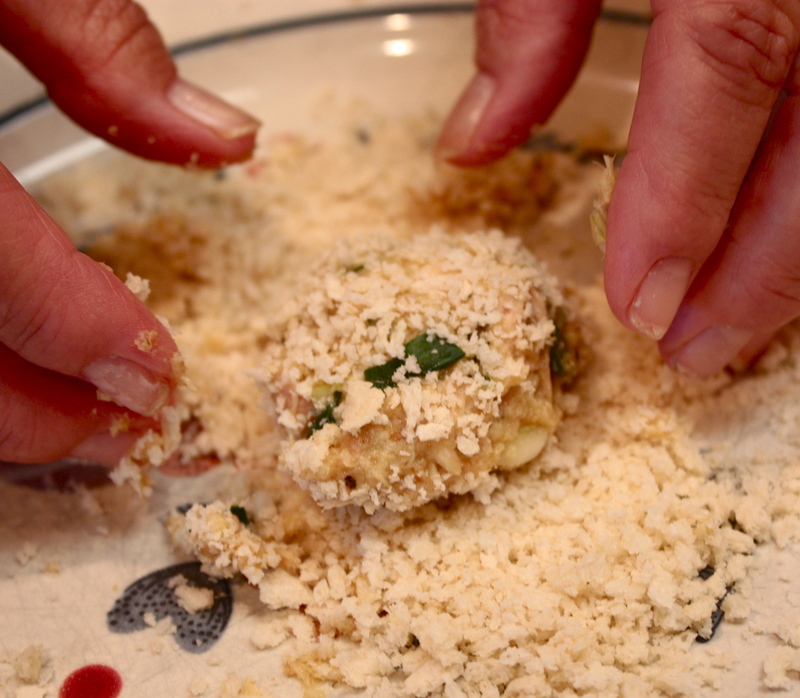 Add the onions, Dijon, lemon juice, pepper, salt, beaten eggs and ¾ cup bread crumbs. Mix it all together—the texture should be moist but able to be formed into little patties (if it’s too moist, add a bit more bread crumbs. If it’s too dry, add more beaten egg). 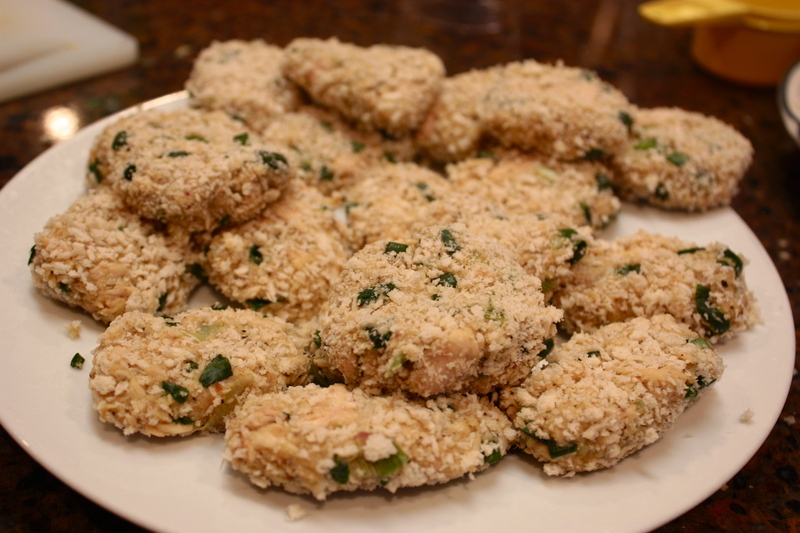 Pour part of the Panko bread crumbs onto a plate. 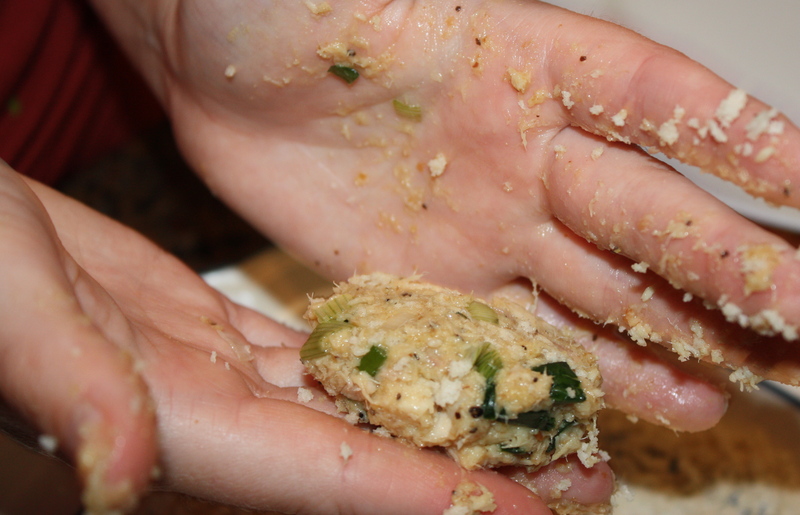 Form the tuna mixture into small (or large) patties in your hand, then roll them in the Panko to coat. Once all your croquettes are formed, refrigerate them for at least 15 minutes (this firms them up a bit for frying). Fill frying pan with about ½ inch of oil (I use vegetable) and heat the oil to 350 degrees F. Fry croquettes in hot oil until golden brown on each side (5-8 minutes per side). Serve with dipping sauce (recipe below) as an appetizer or atop a salad bed (see recipe below). Mix it all together in a bowl until smooth. I served this for dinner with a salad of leaf lettuce, spinach leaves, tomatoes, and thinly-sliced radishes dressed with a light vinaigrette (red wine vinegar, fresh lime juice, minced garlic, salt, pepper, and olive oil). I drizzled some of the dipping sauce atop the croquettes. It was a dream, and it makes a pretty plate! This entry was posted in Savory and tagged Cooking, food, meal, recipes, tuna by needtotaste. Bookmark the permalink. I could be persuaded to crunch into a few of those just now. Delightful! Do they work well at 2am…I need a boost about that time. 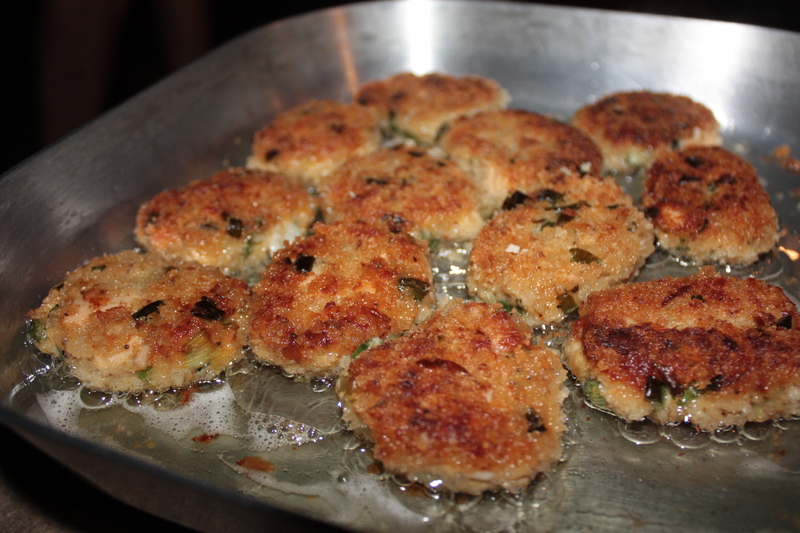 I am a huge fan of salmon cakes, and these look like a close relation to salmon cakes, which is intriguing. I think I will give them a whirl.